GENEVA, Switzerland (Kurdistan24) – Twenty-two international human rights organizations condemned Iran’s execution of Kurdish political prisoners and prisoners of conscience. Since the beginning of August, Iran has reportedly executed at least 48 Kurdish prisoners but has admitted to only 24 of those. The country had the highest rate of execution per capita in the world in 2015. In a joint statement released on Monday, some Kurdish, Western, and Iranian rights organizations urged the Islamic Republic of Iran to immediately stop death penalty and provide prisoners with the due process and fair and public retrials. On August 9 Iran hanged 6 Kurdish prisoners in Urmia Central Prison, according to official sources and Iran Human Rights (IHR). 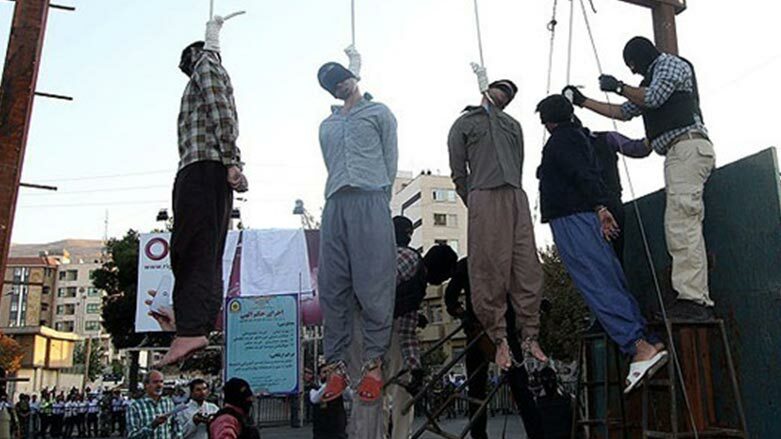 These Urmia executions followed the August 2 executions in Rajai Shahr Prison in Karaj. Iran admitted to killing twenty Kurdish prisoners but local sources say up to 64 were hanged. According to the database Iran Prison Atlas, 915 political prisoners and prisoners of conscience are in detention as of August 2016 – 390 of whom are Kurds. “Politically-motivated executions are the gravest violation of the right to freedom of expression, and foster a climate of fear in which individuals and group self-censor, further limiting freedom of expression in the country,” the statement read. Activists also stated that the vast majority of prisoners sentenced to moharebeh are Kurds. Moharebeh literally meaning “enmity against God” is a crime punishable by death in Iran. Meanwhile, nearly all executions in the ethnic regions of Iran are carried out secretly or not announced by official Iranian media. They also urged the European Union (EU) to call on Iran to impose a moratorium on the death penalty in light of its upcoming human rights dialogue with the E.U. “The EU should insist that as a sign of good will Iranian authorities should cease all executions at minimum for the duration of the dialogue. We also urge the E.U. to insist on the right to fair trials in all cases,” rights groups said.